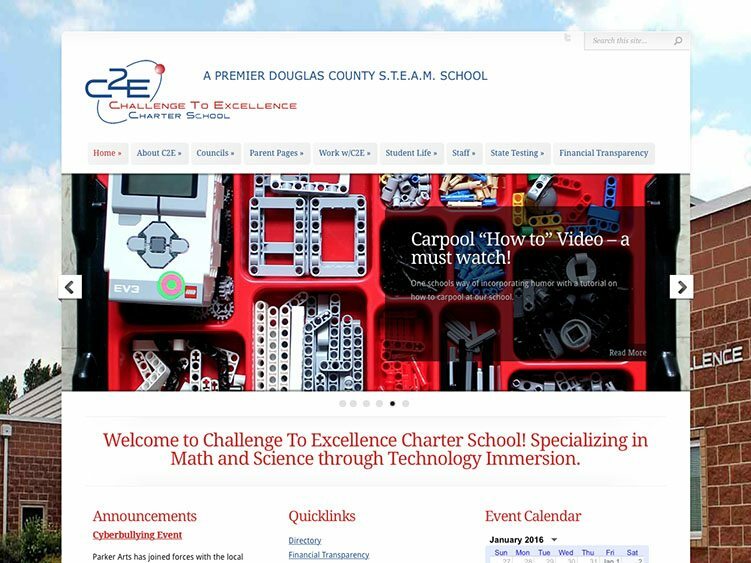 Challenge to Excellence is a no-tuition public charter school in Douglas County, CO that offers Elementary (K-5), and Middle school (6-8). ExtraCheese created a custom designed website and provided ongoing maintenance and update services. When the client wanted to self-maintain their site, we set up and installed WordPress, migrated all of their content over and continue to provide security and maintenance services.